Cook once, eat ALL week! 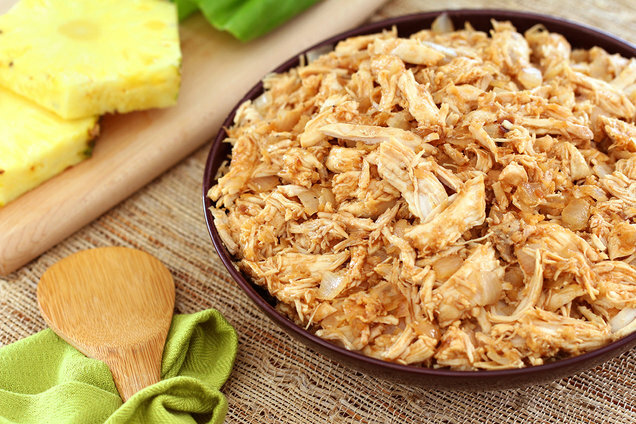 The secret: this super-versatile batch of slow-cooked shredded chicken... and our FIVE fantastic serving suggestions! 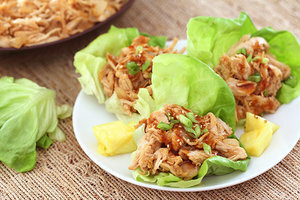 In a slow cooker, combine pineapple, garlic, ginger, and 1/4 cup water. Mix well. Season chicken with salt and pepper, and add to slow cooker. Evenly top with onion. Shred chicken with two forks. Add teriyaki, and mix well. Make sure your pals have great recipes! Click "Send to a Friend" before you forget.